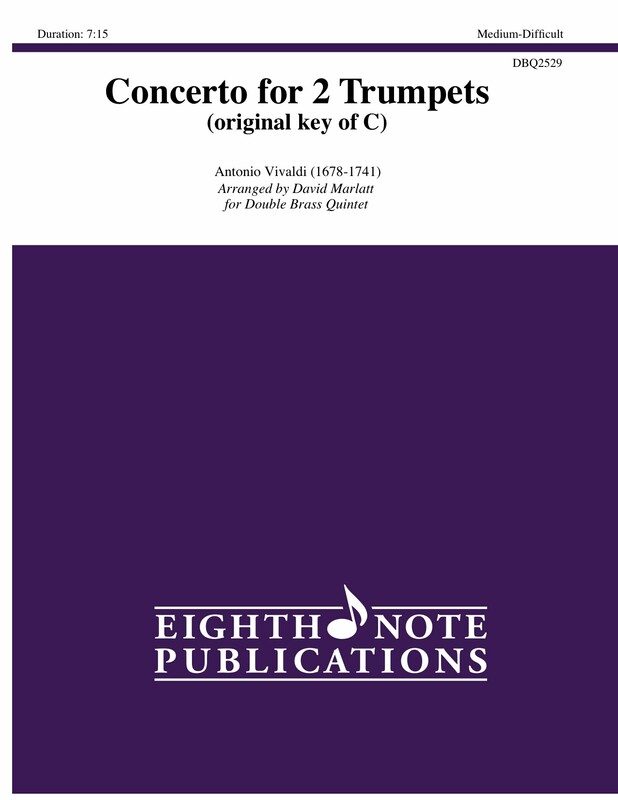 One of the most popular pieces for 2 trumpets can now be played within a brass ensemble setting. The solo trumpet parts are unaltered and the orchestral parts are performed by the remainder of the ensemble. This Concerto is a perfect piece to feature the 2 lead trumpets in a brass ensemble. This arrangement is in the original key of C.